What has become of our society when teachers give more authority to children than to their parents? Schools were never meant to be extensions of parenting at home. We are treading in dangerous water when state-run public schools can officially decide whether or not something your child is struggling with is appropriate to tell you about. No educator, public or private, should ever have the right to keep something from you that your child has told them. Save outstanding cases of physical abuse or gross neglect, the people who are paid using your tax dollars to educate your children have absolutely no right to step in and play a role in anything your child is going through without your knowledge. After years of school officials using their own best judgment, New Jersey has weighed in, siding with students and telling schools they must allow kids to change genders — even if their parents don’t know about or don’t want it to happen. 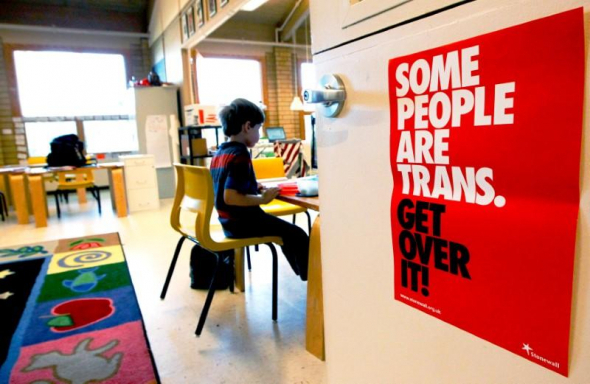 LGBT advocates are celebrating the new state guidance, saying it puts New Jersey among the national leaders in protecting transgender students from unaccepting or abusive parents. But parent and family groups argue schools should never keep such a significant and consequential secret from parents, who should have a right to know if their child says they are transgender. Of course, parental involvement is ideal, said Aaron Potenza of Garden State Equality, an LGBT advocacy organization. But that’s not always best for the student, he added. 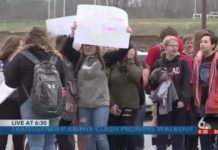 “If a student tells you, ‘If my parents hear this they are going to throw me out,’ then we don’t want school districts notifying parents,” Potenza said. This logic is terribly twisted. If a parent throws their child out of their home when they’re a minor, that is an issue of neglect, not LGBT protections. Do they offer the same protection for students who confess to using drugs, exposing themselves to risks of STD contraction, or committing crimes? There are many circumstances in which a parent might be enraged enough at a child’s behavior to threaten to throw them out of the house that has nothing to do with LGBT identity. But parents’ right to have the final say over their child being recognized as transgender has remained “uncharted waters” legally, Rubin said. That’s left school boards and their attorneys to navigate sensitive and complex cases based on their own interpretation of anti-discrimination laws. Rubin and some other attorneys were already advising districts that parents don’t necessarily have to be told their child is transgender or transitioning and also don’t have to give permission, he said. Though the new state guidance is not legally binding — it’s the Education Department’s interpretation of a 2017 state law reinforcing transgender students’ rights — it is likely to be followed, Rubin said. 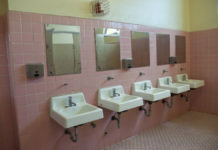 The only reason school districts are seeking approval to withhold information like questioning gender identity from parents is to assist the child to transition in the oasis of the public school system, where their parents’ ideology matters little. Again, it is the job of the parents to decide whether or not “transitioning” is the right solution to what a child is going through. For teachers who barely know these children to step in where parents, who have far more invested in the child’s welfare, ought to be is a blatant slap in the face to parental authority everywhere. This is the hill progressives are willing to die on, because this is what could possibly dissolve parental authority across the land. Be mindful, folks. They’re not going to stop here.